For centuries carpets have been used as floor and wall coverings and tapestries in a variety of contexts: on the one hand practical, carpets warm, isolate and/or dampen noise. Just as significant however are their decorative benefits. It is no coincidence that carpets have always embodied prestige, status and exquisite taste as intricately crafted treasures. Today, designer carpets combine practical advantages with creative sophistication, often relying on millennia old manufacturing processes. Designer carpets are not only able to make any comfortable and cozy, they also bring with them a special, individual touch. In terms of production many contemporary designer carpet manufacturers rely on a combination of modern, trend-conscious, design and millennia-old traditions of Asian carpet production. These include a variety of weaving and knotting techniques, each producing very different results. Particularly elaborate in the production are hand-knotted carpets. Here, the individual yarns are knotted together by hand to form the structure of the carpet, a particular example being the elaborate Lucky carpet by Danskina: the soft yarn is combined into a rose-shaped knot, creating a cozy, thick carpet in a fancy look. Also the weaving technique has a long tradition and very different procedures, the manufacturer Gan, for example, which produces it range in India uses the kilim technology, which is mainly found in the Caucasus, Asia Minor, Iran and the Balkans. Also the carpets of Danskina and Fabula Living are woven mainly by hand, in the case of Danskina by specialists in India. Our range of carpets includes simple as well as more involved models. Carpets by the home textile manufacturer Gan, for example the Bandas by Patricia Urquiola, are a revelation of refined and playful design. 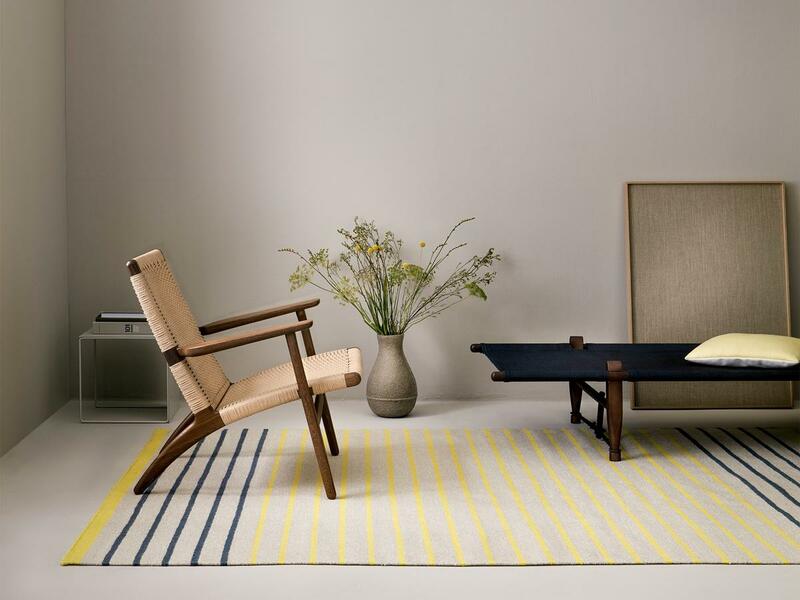 More simple and restrained are the carpets of the Danish manufacturer Danskina, which are a treasure of elegant colours, while Fabula Living impresses with rugs in elegant designs characterized by clear lines and subdued colours.